Four Linfield College students have been honored as Arthur Ashe, Jr. Sports Scholars. Kaelia Neal, David Flores, Jordan Clark and Jade Everage, representing track and field, swimming, and men’s and women’s basketball, are included among this year’s honorees. The Arthur Ashe, Jr. Sports Scholar Award honors undergraduate students of color for their success in intercollegiate sports, in the classroom and in the community. 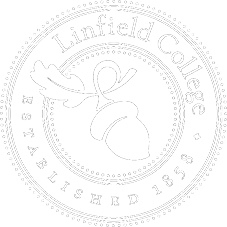 Linfield is one of only two Oregon colleges to have any students so honored. 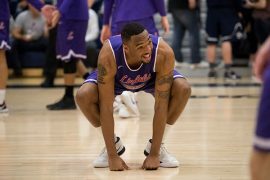 Clark was Linfield’s second-leading scorer and rebounder for the men’s basketball team. 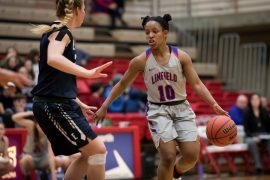 Clark led the Wildcats to 16 wins in 2017-18, the most at Linfield in nearly two decades. He is a senior chemistry/biology major who plans advanced study in pediatrics. Everage, a senior communication arts major, just completed her fourth season as a member of the women’s basketball team and played in all 25 games this season. She was in the starting lineup for 19 of those contests. Everage planned and volunteered for service programs as a Black Student Union sponsor for Linfield’s MLK Day of Service, in partnership with the Office of Community Engagement and Service. Neal, a senior mass communication major, placed second at the Northwest Conference Cross Country Championships, eighth at regionals and won NCAA All-America honors in cross country by finishing 39th at the national championship meet. 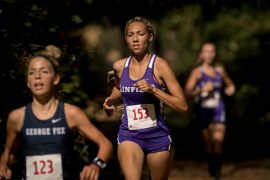 She has twice eclipsed Linfield’s record in the 1,500-meter run. She won the Northwest Conference 800-meter title. She was the editor-in-chief for Linfield’s student newspaper, the Linfield Review. Flores, a junior majoring in marketing, completed his third season with the Linfield swimming program. 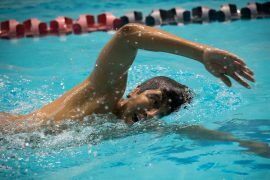 At the Northwest Conference Championships, he placed 10th in the men’s 1,650-yard freestyle, 12th in the 200-yard butterfly and 15th in the men’s 500-yard freestyle. He volunteers with Habitat for Humanity and at the McMinnville community garden. “Diverse: Issues in Higher Education” sponsors the Arthur Ashe, Jr. Sports Scholar Awards to honor undergraduate students who have excelled in the classroom as well as on the athletic field. Inspired by tennis legend Arthur Ashe, Jr.’s commitment to education and excellence on the tennis court, the Arthur Ashe Jr. Sports Scholars must exhibit academic excellence and community activism as well as athletic ability. To be included, students must compete in an intercollegiate sport, maintain a cumulative GPA of 3.2 or higher, be at least a sophomore and be active on their campuses or in their communities. This entry was posted in Feature, Press Releases and tagged Arthur Ashe Jr. Sports Scholar, David Flores, Jade Everage, Jordan Clark, Kaelia Neal. Bookmark the permalink.